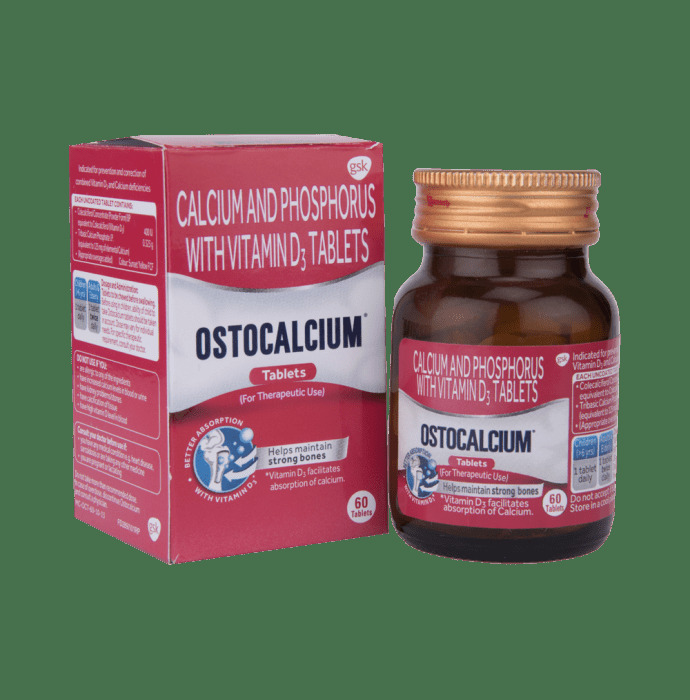 OstoCalcium Chewable Tablets helps in strengthening the bones among adults and children. These minerals are the building blocks of bones that maintains strong bones. Ostocalcium tablet contains calcium and phosphorus in the same ratio as present in natural bones. Use as recommended by the physician.